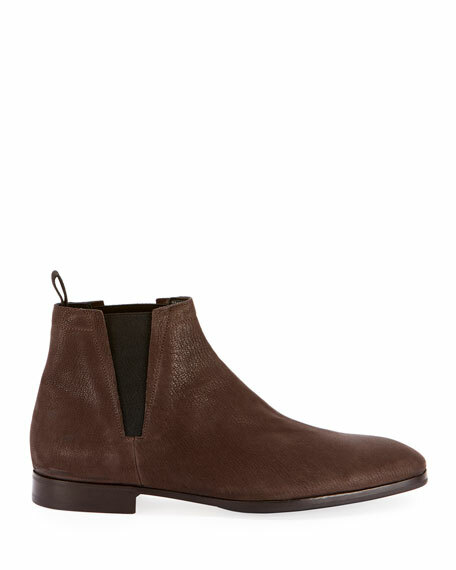 Berluti goat suede Chelsea boot. 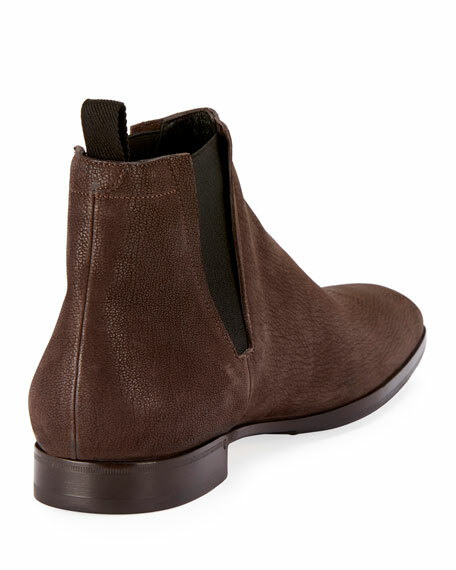 Saint Laurent boot in burmese python snakeskin. 1.6" stacked heel. Pointed toe. Side zip eases dress. Padded footbed. Smooth outsole. Saint Laurent boot in burmese python snakeskin. 1.6" stacked heel. Pointed toe. Side zip eases dress. Padded footbed. Smooth outsole. "Lukas" is made in Italy. Python cannot be sold or shipped to California.